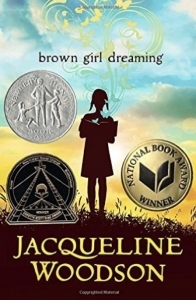 Newbery Honor winner. 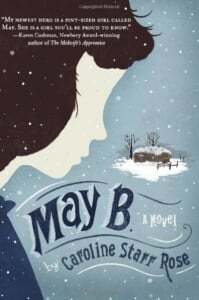 When twelve-year-old Foster and her mother land in the tiny town of Culpepper, they don’t know what to expect. But folks quickly warm to the woman with the great voice and the girl who can bake like nobody’s business. 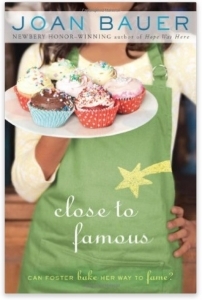 Soon Foster – who dreams of having her own cooking show one day – lands herself a gig baking for the local coffee shop, and gets herself some much-needed help in overcoming her biggest challenge – learning to read . . . Ally is great at math and visualizing pictures, but reading is difficult. May hopes to be a schoolteacher one day, a surprising goal given that she has trouble learning at school. “What sort of teacher can’t read out lessons?” she wonders. Yet she perseveres, bringing a book and her slate with her. 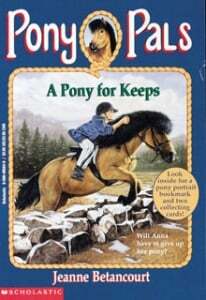 When the couple she’s sent to live with leave her alone in their sod house, at first she’s sure they’ll be returning. But when the days pass, she realizes she’s been left to fend for herself, miles from any other settlers and with no help in sight. With the harsh Kansas winter coming, she must find food and fuel if she’s to survive, summoning every bit of her courage and knowledge to make it through alive. 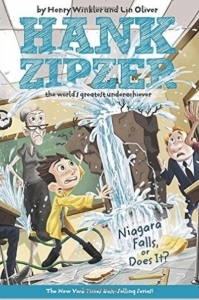 Inspired by the true life experiences of Henry Winkler. It’s science project time in Ms. Adolf’s class. This is good news and bad news for Hank-he loves science, but he hates the report part. So Hank turns to TV to take his mind off things. But when the program directory scrolls by too quickly for Hank to know what’s on, he decides to take apart the cable box to try to slow down the crawl. Great! Now Hank has found the perfect science project! But what he wasn’t counting on was his sister’s pet iguana laying eighteen eggs in the disassembled cable box. How is Hank going to get out of this one? 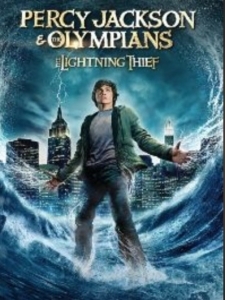 Dyslexic student Percy Jackson discovers he is a demigod, half human, half immortal. Even more stunning: His father is the Greek god Poseidon, ruler of the sea, making Percy one of the most powerful demigods alive. There’s little time to process this news. All too soon, a cryptic prophecy from the Oracle sends Percy on his first quest, a mission to the Underworld to prevent a war among the gods of Olympus. 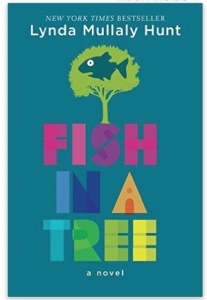 National Book Award Finalist. Raised in South Carolina and New York, Woodson always felt halfway home in each place. In vivid poems, she shares what it was like to grow up as an African American in the 1960s and 1970s, living with the remnants of Jim Crow and her growing awareness of the Civil Rights movement. Touching and powerful, each poem is both accessible and emotionally charged, each line a glimpse into a child’s soul as she searches for her place in the world. Woodson’s eloquent poetry also reflects the joy of finding her voice through writing stories, despite the fact that she struggled with reading as a child. 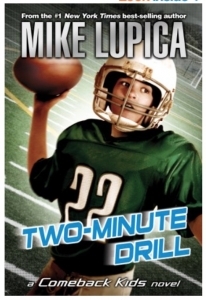 Chris Conlan is the coolest kid in sixth grade–the golden-armed quarterback of the football team, and the boy all the others look up to. 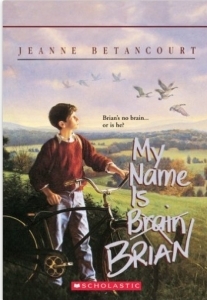 Scott Parry is the new kid, the boy with the huge brain, but with feet that trip over themselves daily. These two boys may seem like an odd couple, but each has a secret that draws them together as friends, and proves that the will to succeed is even more important than raw talent. Grace struggles coming up with a writing idea (as many kids do) and experiences writer’s block. 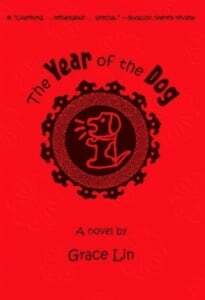 She finally realizes that she should write about her own life as a Chinese-American. Grace talks about the many revisions she has to make as she writes her picture book.